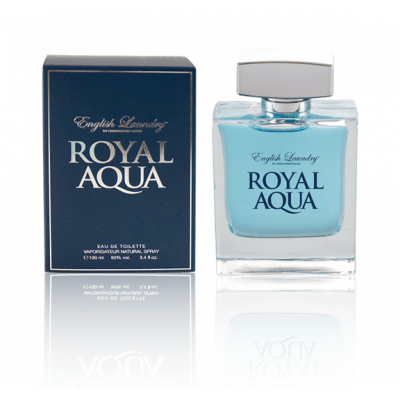 With a clean, refreshing scent that suggests a feeling of class, Royal Aqua features a premium panache sprayer bottle nestled in a matte box with silver embossed accents. Men will appreciate the scent's notes of watermint, basil leaf, ginger and sandalwood. The lotus is a flower of antiquity and has long been associated with the history, culture, religion, ancient literature and arts and crafts of India. The lotus fragrance can be described as watery, aqueous qualities, light and ethereal with lightly sweetish tonality. 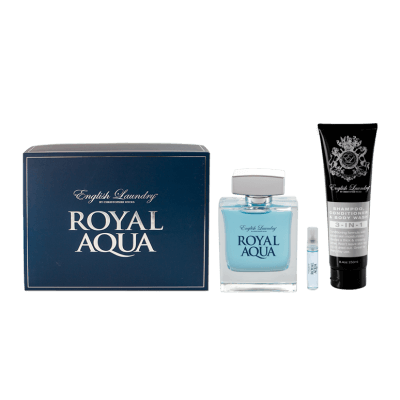 This 3 piece gift set features a 3.4oz (100ml) bottle of our Royal Aqua Eau de Toilette, a 5ml travel spray and 8.5oz (250ml) 3-in-1 Body Wash, Shampoo & Conditioner.